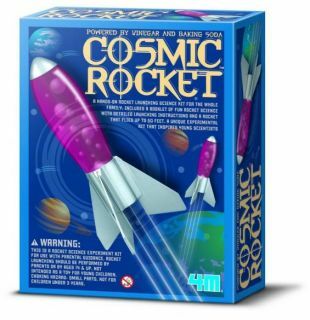 A hands-on rocket launching science kit for the whole family. Learn about chemical reactions when you build and launch this baking sode rocket. Rocket flies up to 50 feet! A unique experimental kit that inspires young scientiests.